Dundee’s bus passengers are among the most satisfied travellers in Scotland, according to the latest survey by Transport Focus. Xplore Dundee has recorded a 92% overall satisfaction rating – 1% higher than the result recorded during the last full survey in 2016. That also beats the Scottish national score of 91% (compared to 88% in England). “To see our passenger satisfaction scores increasing, even by a small amount, is really gratifying. 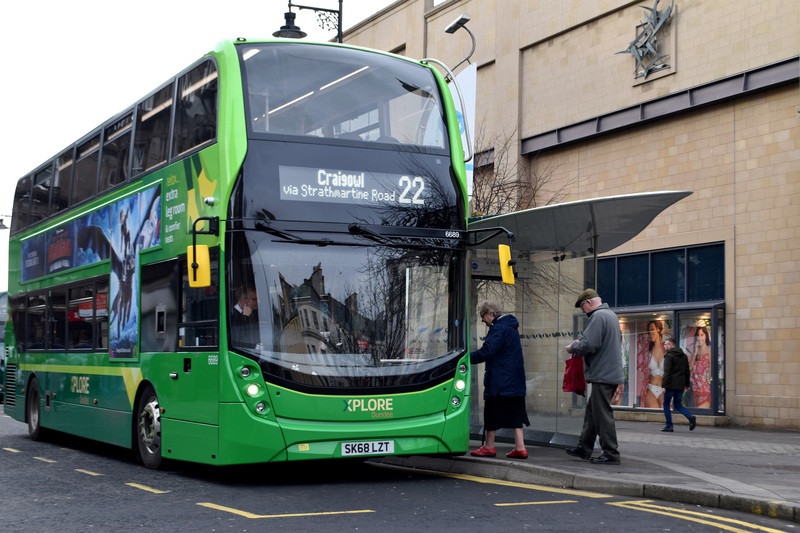 Customers are telling us they’re happier with their journey times, the punctuality of services and value for money and these are all things we have worked hard to improve,” said Managing Director Christine McGlasson. “In the past year alone we’ve introduced new smart hybrid double deckers to the fleet, updated our ticket machines to the very latest technology and we’ve extended the range of fares available on the mTicket app. We’ve also taken a close look at the network and made some changes to improve reliability. The driver can have a real influence on someone’s experience of using the bus and I’m really happy to see that our employees are scoring highly here too at 94%. I’m proud of every employee who’s helping to deliver great customer service and safe journeys across our city,” Christine added. Almost 8000 Scottish passengers took part in the Autumn 2018 Bus Passenger Survey carried out by the independent watchdog, Transport Focus. Passengers were asked to rate a wide range of elements relating to their last bus journey, to provide a comprehensive picture of the standard of service on offer. The questionnaire shows that some of the main themes affecting passenger satisfaction include the bus driver, journey times and the environment/comfort of the bus itself. “We won’t be complacent – we will continue to focus on offering safe, comfortable, efficient transport for the people of Dundee. We’re getting ready to introduce contactless payment to our services and looking at ways to continue to enhance our fleet. We appreciate all the feedback we receive from independent surveys like this, as well as directly from our customers, and we use it all to shape and improve our services,” Christine concluded.